Gi2MO Ontology is a schema for Idea Management System metadata that we maintain as an implementation of the interchangeable data model proposed by the Gi2MO Project. Along the road we have shown a number of uses of the ontology for: distributed data visualisation, semantic search, data integration etc. As a followup to our paper on idea similarity presented in October during the CollaborateCom conference, we introduce an update to the Gi2MO Ontology by adding an extended hierarchy of idea relationships: Gi2MO Links. Establishing relationships in Idea Management System. During our studies with various idea datasets like Ubuntu Brainstorm or Dell IdeaStorm we noticed that there is quite a lot more connections between ideas than just the currently collected duplicate information. Therefore, Gi2MO Links lists and names those missing relationship types, as well as puts them into a hierarchy that enables a variety of knowledge management opportunities. 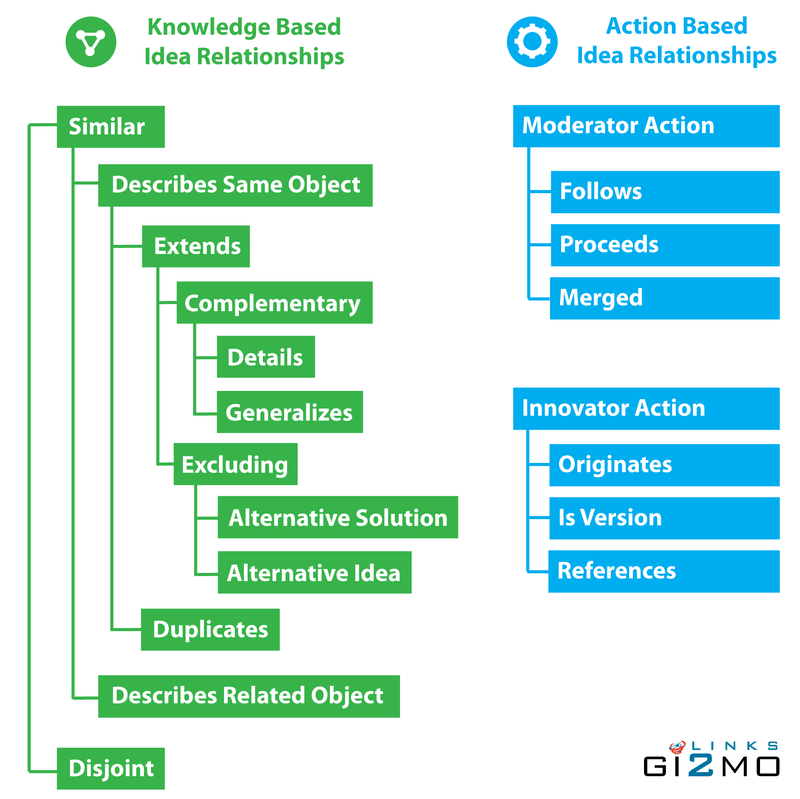 Overview of the Gi2MO Links hierarchy for idea relationships. 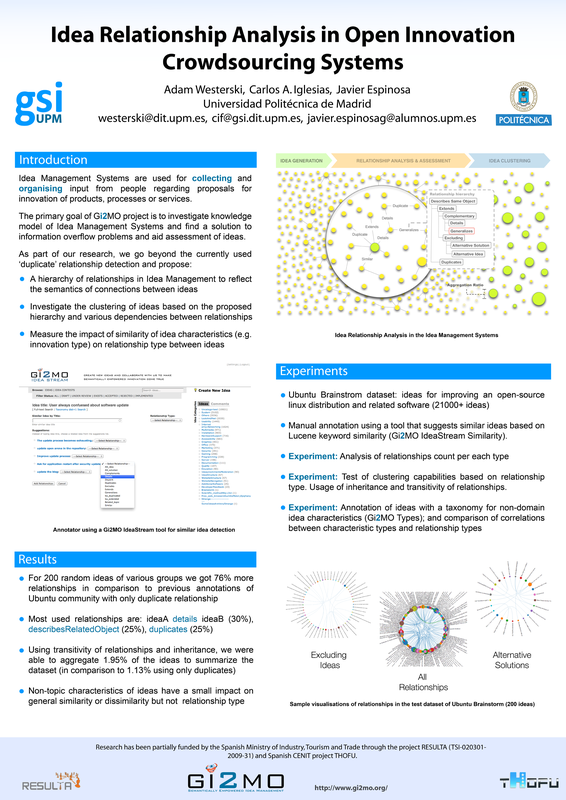 In our case study, we analysed the usage of Gi2MO Links for idea clustering and information summarisation. The results were quite impressive giving us a 95% increase in the amount of detected relationships in comparison to duplicate detection. For more details see the paper, poster and presentation slides from the talk during CollaborateCom. The hierarchy and a brief explanation of its usage can be seen under the modelling section. Additionally, all new relationships have been incorporated into the new version of the Gi2MO Ontology – Gi2MO v0.6.